While we’re always eager to get answers to our burning cider-centric questions, we were particularly excited to learn a thing or two about the Hardball Cider brand over the holiday season. We caught up with Geoffrey Deen, founder and CEO of Hardball Cider, who graciously set aside some of his own time to educate us a bit on how this cider brand came to be, where we can find this tasty libation and what he sees for the cider industry in the coming new year. Cider Culture: As an avid cider drinker and baseball fan, I was naturally drawn to your brand based on two things: your name and your fantastic labels. 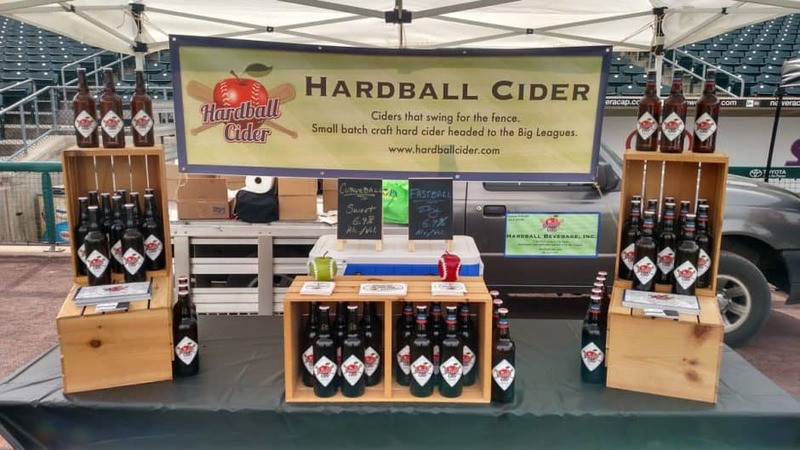 How did Hardball Cider come to be? Geoffrey Deen: I was on a business trip to Atlanta about three years ago. On the way back to the airport, I was staring out the window of the MARTA train and the idea and name—Hardball Cider—literally just popped into my head. I quickly grabbed my phone and began sketching the name and a draft logo. Once I had the idea, I knew I had to pursue this one and so began the process of filling out applications for the licensing and beginning the branding development and product development process. Prior to having the idea for the cidery, I had often thought about the things that I could do with the family farm that would get me away from my corporate desk job and back outside. 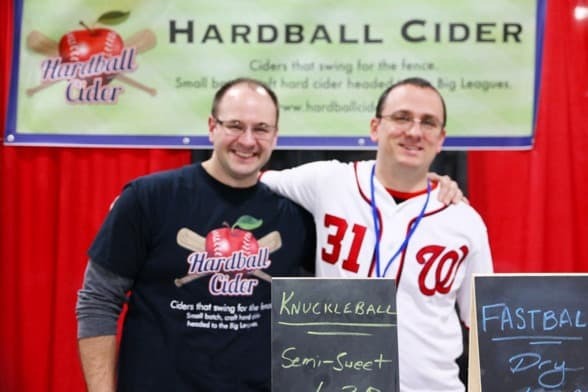 Having been a baseball player for most of my life, I also always wanted my office to be at the baseball stadium, so the idea for Hardball Cider would allow me to get the best of both worlds. We had been producing sweet apple cider for over 75 years on the farm, so this was a logical extension to our existing operation. What are you most excited about with the recent boom in the cider industry? There are so many exciting things happening right now! There seems to be something new every week, so it’s hard to single out just one thing. The most recent major event was the passing of the CIDER Act, which allows cider makers to produce ciders up to 8.5% ABV and increases the level of carbonation allowed in hard ciders without being taxed as a champagne. This legislation helps to lower the tax burden on ciders, allowing us to be more creative in our product development, which ultimately benefits the end-consumer. 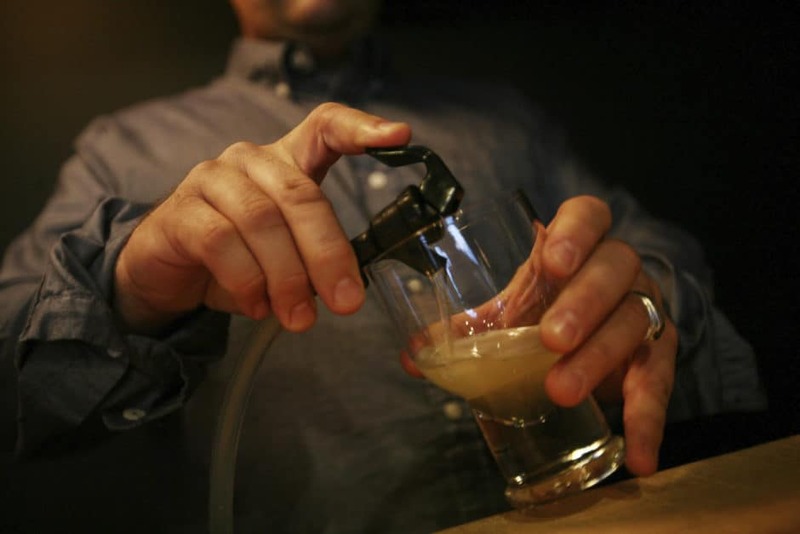 What can Hardball Cider fans look forward to in 2016? Hardball Cider fans can look forward to an expanded product portfolio that will include our premium Clubhouse Collection ciders. We’re also very excited about the opportunities that we’re exploring now to be represented in several Pennsylvania major and minor league baseball stadiums, which would give cider fans an additional beverage option while enjoying America’s favorite pastime. Finally, our cider fans should be able to start finding us in additional locations including bars and restaurants extending well beyond the Lehigh Valley. Are any of your ciders sold at any MLB ballparks? If so, which ones? We are not yet in any MLB ballparks, although we certainly hope to be in the future. As I mentioned previously, we’re exploring some opportunities right now with several PA ballparks with the hopes of being included in their 2016 beverage line-ups. We spied a new cider in the works on your site. Care to tell us a little bit about Knuckleball? Sure! Knuckleball debuted at the Valley Forge Beer and Cider Festival in December. It’s a semi-dry cider that’s been lightly carbonated and got rave reviews at the festival. We’ll start bottling Knuckleball for sale in the next couple of weeks, so expect to see it on our retail shelves throughout 2016. Hardball Cider isn’t one-dimensional; you have three varieties of wine you produce as well. Which is your favorite? We started dabbling in some fruit wines this year and I’d have to say that our apple wine is my favorite to date. I think it’s my favorite because it’s closely related to our hard ciders and we have a special blend of apples that really brings out the best in our apple wine. While apple may be my favorite, I’m really partial to every bottle of wine that we produce because we’re also growing each piece of fruit that goes into every bottle. If you could dispel one myth about hard cider to our readers, what would that be? At festivals, I’ve encountered many people who immediately write off cider without ever having tasted it. Give it a try. It’s delicious! There is a notion that cider is only made sweet and sugary and that’s just not true. There are as many complexities to good hard cider as there are in a fine wine or a craft beer. It can be dry, semi-dry or sweet. It can be carbonated, sparkling or still. It can be fermented, bottled and sold immediately or aged for several months in stainless steel, oak or spirit barrels for added complexity. Cider is in a category of its own separate from wine, beer or distilled spirits. So, the next time you come across a cider from a local or regional producer, buy a bottle and experience all that hard cider has to offer. If you find a good cider, you’ll know it and you won’t be disappointed. What has been your biggest hurdle to date since Hardball Cider’s inception? There have been many hurdles for us since we began. There is just so much to learn in a quickly evolving category within an established industry. One of the biggest challenges that we’ve faced to date has been finding the right equipment for hard cider production. Because hard cider as a category is developing so quickly in the industry, there hasn’t been time for suppliers to react to the needs of cider makers. Many websites list equipment and supplies under two categories—wine or beer. As a cidery, we have similar needs to a winery sometimes and a brewery at other times. Cider is also more acidic than wine or beer, so the equipment used in the production process or even building materials in our facilities differs from that of a traditional winery or brewery. It has been very difficult for us to find experts in hard cider production to answer all of the questions that we’ve had along the way. Thankfully, other cideries who were established before us have been overly welcoming and eager to help whenever we’ve run into an issue. OK, this is a two-parter (and completely non-cider related): Are you a Phillies fan? Will the Phillies have a winning season in the next five years? Haha, no I’m actually not a Phillies fan (sorry to all you cider-drinking Phillies fans)! I have been a Yankees fan my whole life and grew up watching Don Mattingly, Wade Boggs, Bernie Williams, David Cone, etc., lead the Yankees to some of the most successful and memorable baseball seasons in the history of the game. As for the Phillies, I think they have a lot of rebuilding to do over the next few years, but given the right talent and coaching staff, I think it’s possible for them to have a winning season closer to that five-year mark. Can you look into your crystal ball and give us cider lovers your thoughts on some cider trends in 2016? I think growth in the cider market will continue to be strong in 2016, bringing with it a wide assortment of new products including those with higher alcohol content. In order to make new products, some cider makers will look to the fruit itself. 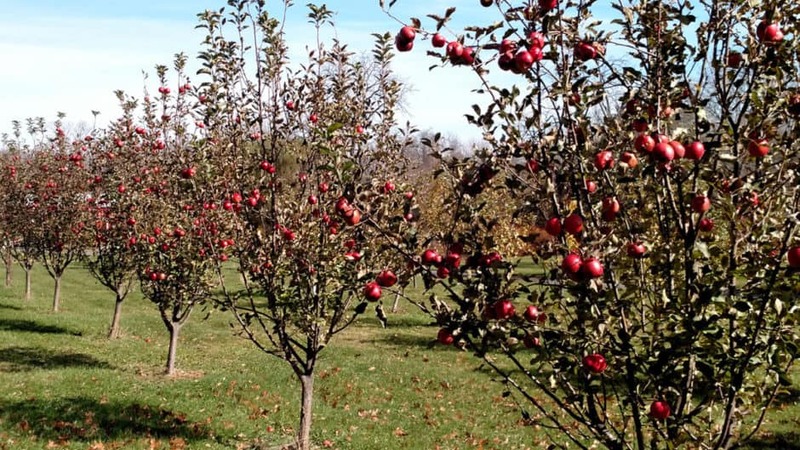 Some cideries, including us, are looking into planting orchards with cider-specific apple varieties. These apple varieties have different characteristics including varying pH, acidity and tannin levels in comparison with the more commonly grown dessert apples. Cider-specific varieties aren’t widely available in the U.S. today, so much of the cider is being made with dessert fruit. Wider availability of cider-specific varieties will give cideries the ability to make hard ciders with different flavors than those currently available on the market today. I think you’ll continue to see this trend for the foreseeable future as those trees planted this year won’t begin bearing fruit until 2018 at the earliest. Stay tuned to Cider Culture for Hardball Cider updates in 2016. You can expect to hear when their Tasting Room opens and how you can schedule a time to visit this Pennsylvania cider producer. Until then, cheers! Like the logo a lot too. Very clever.